Inspiring and uplifting, this is the extraordinary the story of Dr Sanduk Ruit who, like his mentor Fred Hollows, took on the world's medical establishment to give the life-changing gift of sight to hundreds of thousands of the world's poorest and most isolated people. 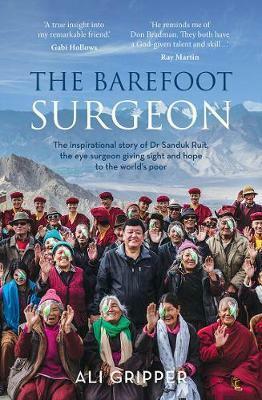 Inspiring and uplifting, this is the extraordinary story of Dr Sanduk Ruit who, like his mentor Fred Hollows, took on the world's medical establishment to give the life-changing gift of sight to hundreds and thousands of the world's poorest and most isolated people. It is the story of a boy from the lowest tiers of a rigid caste system who grew up in a tiny, remote Himalayan village with no school to become one of the most respected ophthalmologists in the world and a medical giant of Asia. Compelling and compassionate, it is also the story of a young doctor who became Fred Hollows' medical soul mate and who chose to defy the world's medical establishment and the lure of riches to make the world a better place.